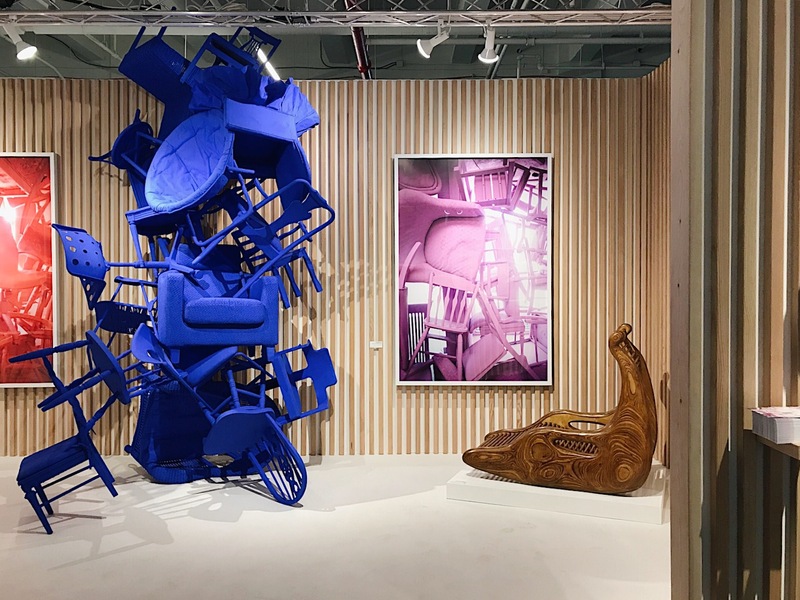 The best pieces at this year’s fair include a playground toy–inspired sculpture by Crosby Studios’ Harry Nuriev and Coil+Drift’s modern dance–infused furniture presentation. 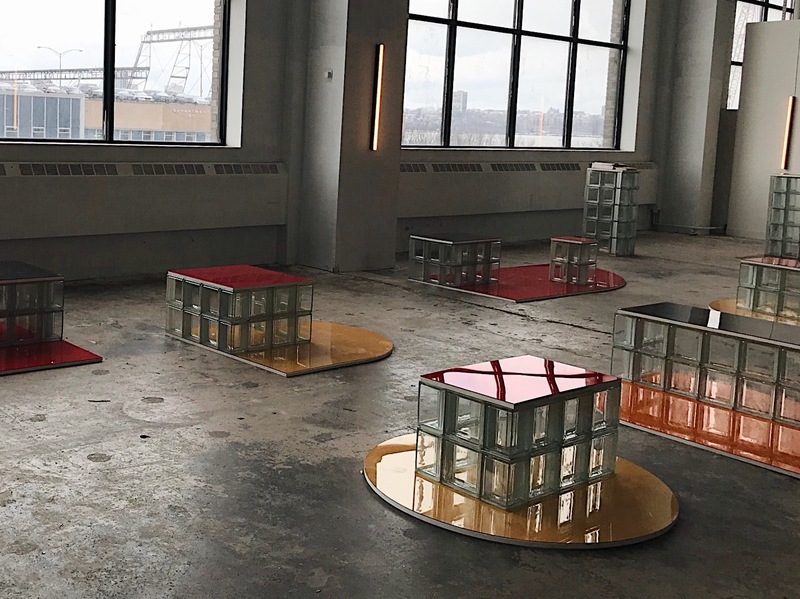 This year, Armory Arts Week has a design component to reckon with: The sixth annual Collective Design fair opens tomorrow at Skylight Clarkson North, trading its usual May run for March. 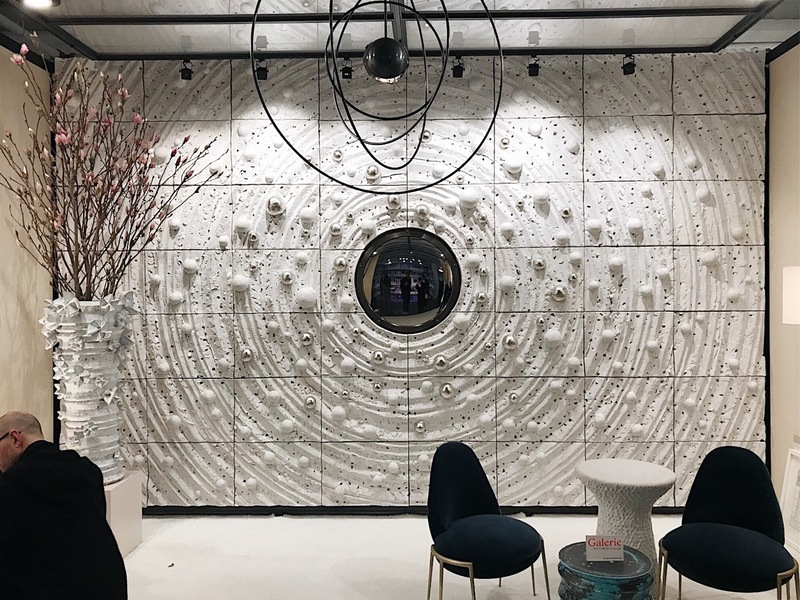 Visitors arrive by freight elevator to a selection of more than three dozen designers, artists, and contemporary galleries, many of whom took a stab at rethinking ways of transforming their booths into living room–like environments. 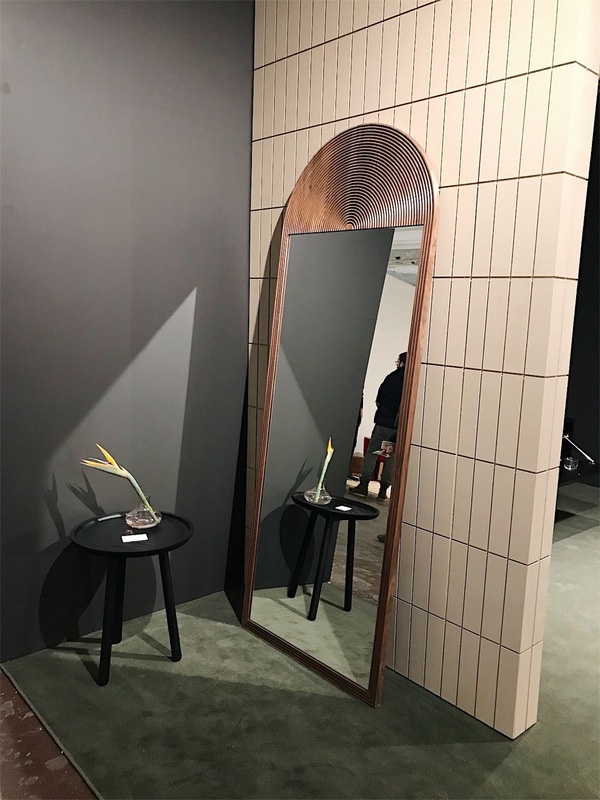 Thanks to the show’s organization, it’s possible to take in everything on view without getting tired; gallery booths are interspersed with site-specific installations, special exhibitions, and Collective Concept, a capsule presentation of designers who have been empowered to mix self-reflection with experimentation (a version of the initiative will be presented at ICFF in May). 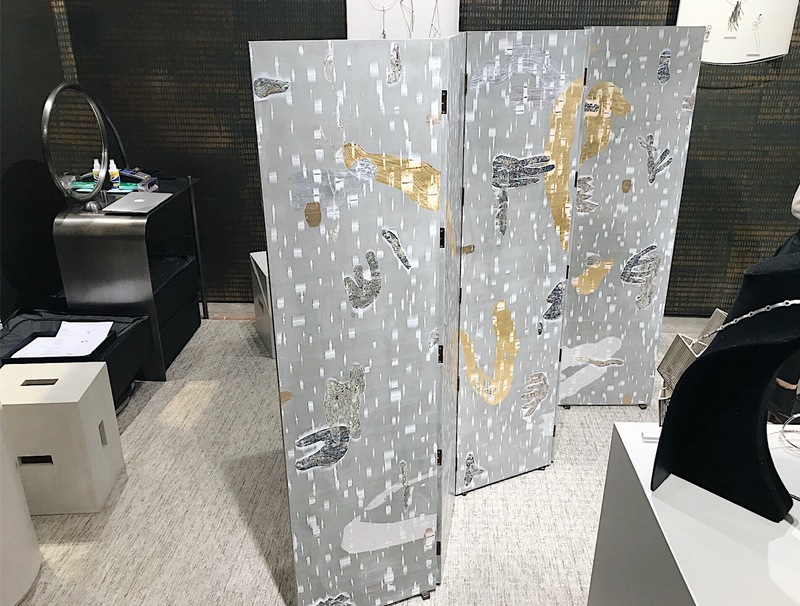 We found particular vigor in the younger practitioners on the floor: Coil+Drift’s John Sorensen-Jolink, a former dancer with no formal design training, choreographed a piece for two modern dancers who will activate his booth and serve as an extension of his arched, moody furniture. 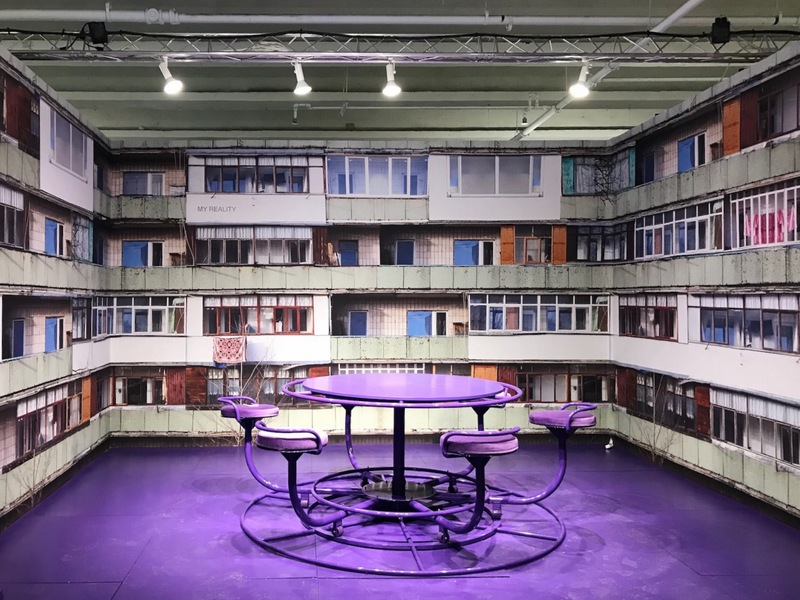 Harry Nuriev of Crosby Studios repurposed a playground toy into a participatory sculpture surrounded by wallpaper printed with images of the Russian council flat he grew up in, while Fernando Mastrangelo presented his first-ever interior installation, where the floors, walls, and furniture are cast from sand, cement, crushed glass, and other materials. 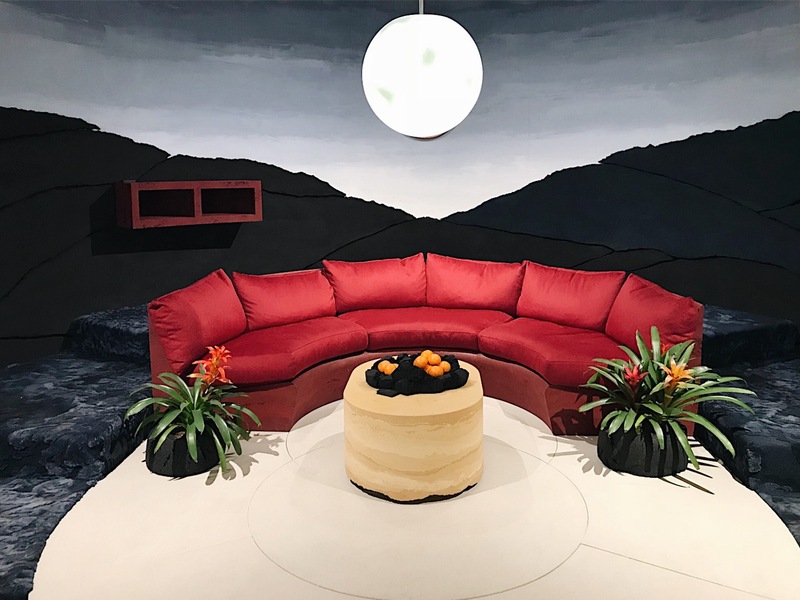 Fuel up at the café, a coral-hued space with an L.A. vibe courtesy of Reunion Goods and Services, or take a breather in the VIP Lounge, featuring glass-brick furniture by Objects of Common Interest and LOT office for architecture. 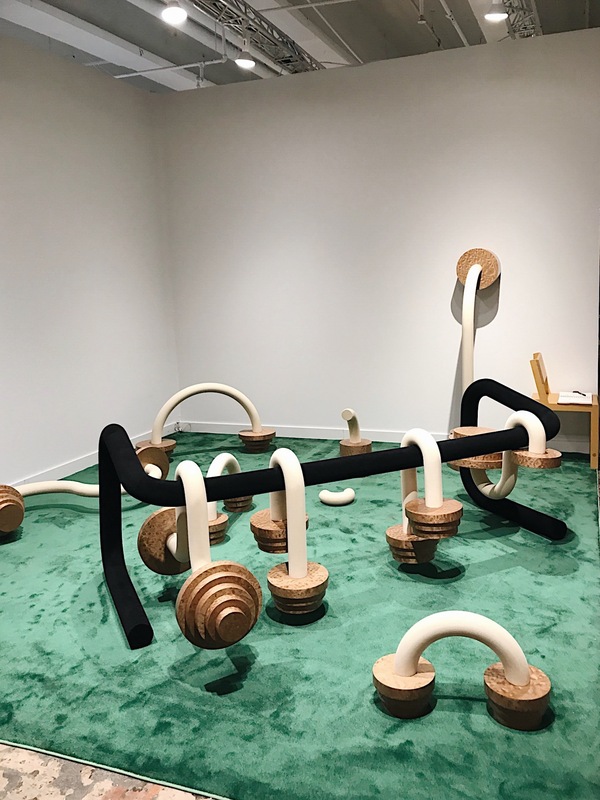 And make sure to walk through the inflatable desert by Brook Landscape and Jesse Seegers (an excellent Instagram opportunity lies at the back). 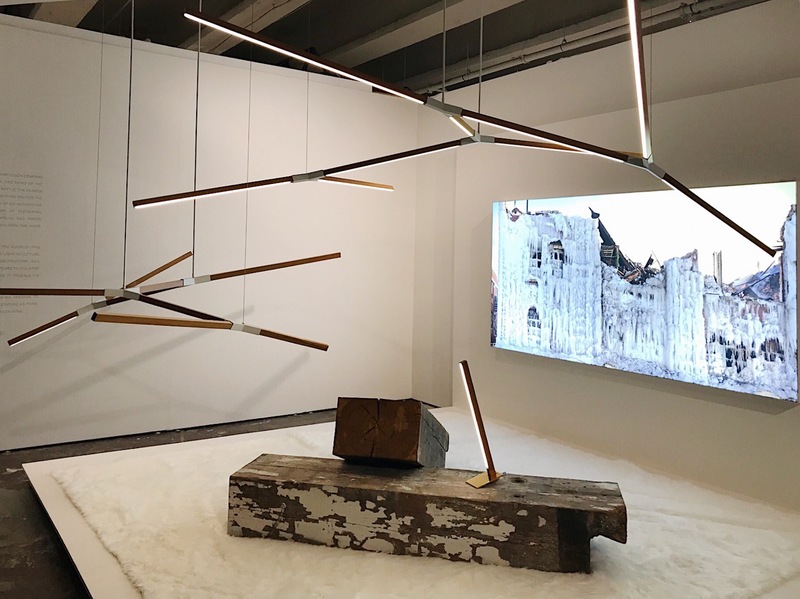 Collective Design will be on view through Sunday, March 11. 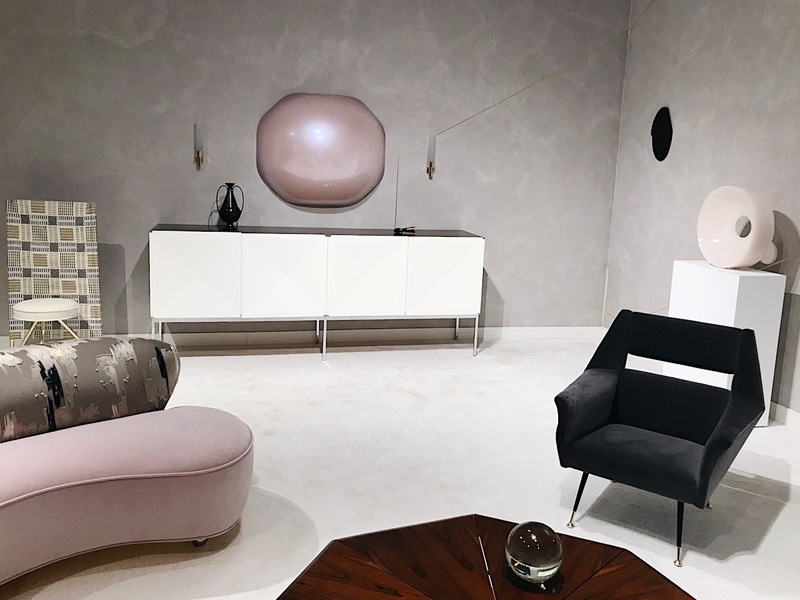 Below, the top 10 pieces that caught our eye.